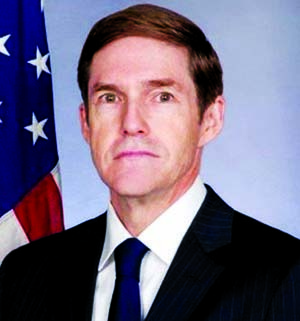 Earl Robert Miller is likely to be the next US Ambassador to Bangladesh replacing Ambassador Marcia Bernicat who will leave Dhaka soon ending her tenure. Marcia Bernicat became the US Ambassador to Bangladesh on February 4, 2015 and is expected to leave Dhaka by August. US President Donald Trump has already announced his intent to nominate Miller to the post, according to the White House. Ambassador Miller, a career member of the Senior Foreign Service, has served as an American diplomat since 1987. Since 2014, he has served as Ambassador at the United States Embassy in Gaborone, Botswana. Prior to his ambassadorship in Botswana, he served as Consul General in Johannesburg, South Africa from 2011 to 2014.